Dogs will eat or chew just about anything they can find. As alien as the idea may be to us, a human sock is a gourmet treat to some dogs. 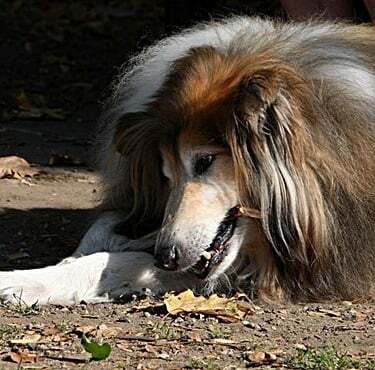 If you forget to remove your worn socks from Fido’s reach, they may end up in Fido’s belly. This guide will talk you through what to do if your dog eats your socks, and how to ensure that nothing untoward happens to them afterward. 1 Why are Dogs So Fascinated by Socks? 1.1 Why Would a Dog Eat a Sock? 1.2 What Do You Do When a Dog Swallowed a Sock? 1.3 My Dog Ate a Sock – Should I Induce Vomiting? 1.5 How Long Does it Take to Pass the Sock? Why are Dogs So Fascinated by Socks? There are two things in this world that dogs love more than anything else – their human owners and chewing. The average dog is significantly smaller than a human and based much lower to the ground. This means that they spend a huge amount of time at our feet. Dogs also have an impressive sense of smell, and the aroma of your feet will flood their little brains with endorphins – as does chewing and eating. Your socks will remind your dog of you, and throwing a worn slipper that you don’t mind being chewed up is a great way to keep a puppy calm at night during the sleep training years. You have to be careful that this comfort-seeking chewing doesn’t turn into eating. Why Would a Dog Eat a Sock? Some dogs will be looking for attention and will have noticed that you put seem to spend time putting socks on and taking them off. This means that they’ll assume that you feel very strongly about socks and that they can make a game out of them. If they get overexcited, they may start attempting to devour the socks too. 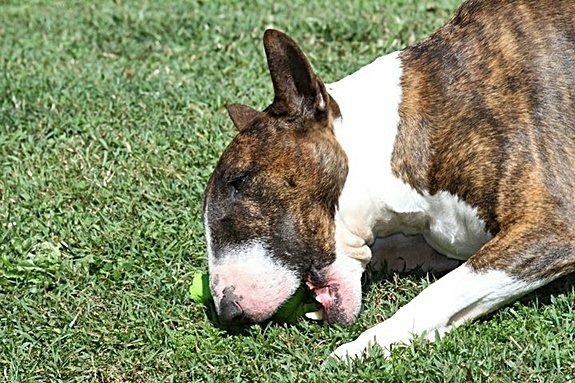 Dogs have a natural inclination to horde and hide valuable items, which is why they bury bones and other items in the soil. This could include socks; they’ll be attracted by the scent of the sock, and they’ll run off with it. If they’re so inclined, they may also swallow it to prevent anybody from potentially taking it away. This behavior will usually be predicated by warning signs such as growling, clawing and snapping. If your dog shows these aggressive signs and they’re out of character, you may want to discuss the situation with a vet. Finally, a dog that swallows a sock may have pica, which is defined by an overwhelming desire to consume non-edible items. PetMD can offer some excellent insights into Pica, and the impact it may have on your dog. No matter how many pedicures you invest in over a year, there will still be no nutritional value to be found in one of your socks. Your dog swallowing such a garment cannot be considered a good thing, so if they do so, you must be prepared to take the appropriate action. What Do You Do When a Dog Swallowed a Sock? The first thing to do is remain calm and don’t panic. 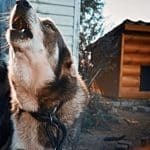 If you start freaking out your dog won’t understand why, and they’ll likely join you – which will only make an already troublesome situation worse. Just pick up the phone and calmly explain the situation to your vet. 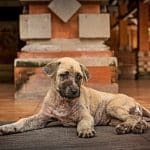 Now, you should know that your dog doesn’t necessarily need an immediate appointment, and surgery is not a foregone conclusion. At this stage, you’re just asking for advice. Time can be of the essence when it comes to dealing with a canine swallowing a sock, and an animal healthcare professional may be able to provide appropriate guidance over the phone. My Dog Ate a Sock – Should I Induce Vomiting? If, and only if, your dog swallowed the sock within the previous hour or two. At this stage, the garment will still be close enough to your dog’s throat to be retrieved without the need for major surgery. If it’s been any longer, follow your vet’s advice – you’ll probably have to take your dog in to see them. Grab a bottle of hydrogen peroxide. If you don’t have such a thing in your cabinet and have time, you can purchase this product from most supermarkets or drugstores. Weigh your dog. It is hugely important you are accurate with this information, as you’re about to administer chemical medication based on the data. 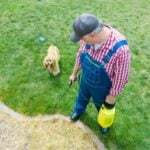 Provide your dog with 0.5-1ml of hydrogen peroxide for each pound of their body weight. So, for example, a 20lb dog should start with 10ml and be assessed from there. Never provide your dog with too much hydrogen peroxide, as you could end up with a pet that cannot stop vomiting. If you are not keen on the idea of inducing vomiting in your dog, your vet may be able to help without anesthetic. This will entail using an endoscope so that it won’t be fun or comfortable, but it’s certainly better than all the risks involved with abdominal surgery. This doesn’t matter – don’t ignore the behavior and wait for everything to work out for itself. Even if your dog is going to pass the sock naturally, you’ll need to ensure that they understand how dangerous the behavior is and don’t repeat it. Call the vet and get some scans taken, even if only as a precaution. If your dog is a larger breed, there is a good chance that your vet will tell you to stay calm and keep a close eye on your pet. If your dog is otherwise perfectly happy and eating, as usual, the sock may pass naturally. If that’s the case, you can chalk the whole thing up to experience, and start being a little more careful about placing used socks in a hamper. In other situations, your dog may need to undergo exploratory surgery to remove the sock to be on the safe side. This will not be anything new to a vet, who will be used to removing all kinds of items from canine stomachs, but it will be a scary time for both you and your pet. If you can avoid this in any way, an alternative solution would be preferable! How Long Does it Take to Pass the Sock? There is no hard and fast rule for this – it all depends on your dog’s metabolism. They may poop the sock our naturally in a day or two, or they may even vomit it back up even sooner. As we have already explained though, you should not induce vomiting unless you have been advised to do so by a vet and it has not been long since your dog swallowed the sock. 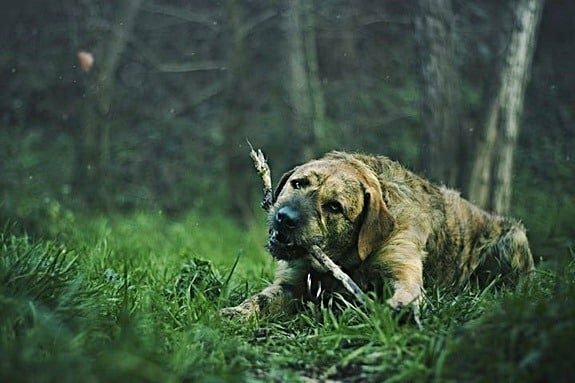 If you’re not crazy about the idea of waiting for nature to take its course, you can lend a hand by speeding up your dog’s digestive process. 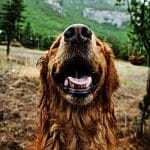 Offer your dog a high fiber snack or meal (but stick with something prescribed by a vet), or investigate any natural laxatives that your pet store may stock. You could also try giving Fido a gentle tummy rub, treating them the same way that you would if your dog had gas or bloating. This suggests that the sock has caused an obstruction within your dog’s body, which is hugely dangerous – especially if coupled with non-induced vomiting. If your dog can’t pass waste, it risks building up inside their body and becoming hugely toxic. In this instance, your dog will require surgery – and fast. If they’re fortunate, your vet may be able to remove the item with the use of an endoscope, but if not it will have to be the traditional anesthetic and scalpel. If your dog ate a sock and has diarrhea, this is also potentially a sign of a blockage in their digestive tract. The sickness could take hold quickly, or up to eight hours after the incident, depending on which part of the body the sock made its way to before settling and blocking. PetHelpful have more insights into how to recognize a potential intestinal blockage in your dog. In either instance, you should keep in touch with you throughout the whole process until the sock is removed from Fido’s system, whether that’s through natural means or professional intervention. Unless your vet tells you to do so, don’t ignore any symptoms! All of this unpleasantness can be avoided if you prevent your dog from eating socks in the first place. There are many ways that you can ensure that your pooch does not find footwear fascinating and become determined to chew and swallow. Don’t leave socks lying around. This is a pretty obvious one – unless your hound is particularly determined and has mastered the art of breaking-and-entering, they won’t be able to get into a laundry hamper and find the socks within. If you leave socks all over the bedroom floor like an all-you-can-eat buffet you’re increasing the risk of an incident – remember to put them away! Don’t make socks into a big deal. It’s tempting to play with socks, and use them in games with your dog. 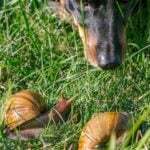 Your pet loves the smell of them, they make natural hand puppets or tug-of-war toys, and it’s not the end of the world if something happens to them – there are always plenty more. However, the more enjoyable you make the idea of socks, the more your dog will be drawn to them – especially if they get the idea that your socks are somehow precious to you. Master the, “leave it!” command. If your dog is playing with one of your socks and you’re worried that they’re showing signs of swallowing, give a short, stern command to tell them to stop. 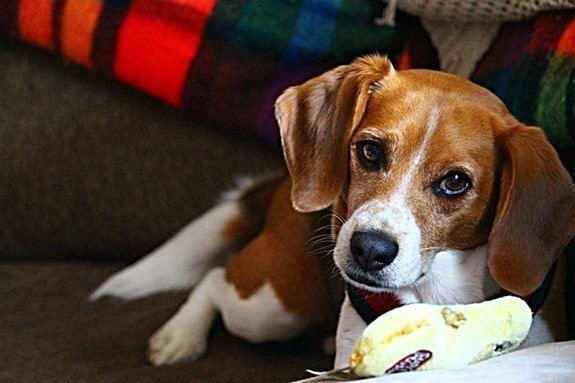 Don’t worry about the sad look in their eyes when you take the sock away – they’ll soon forget all about it if you replace it with a beloved chew toy or snack. Just be careful that Fido doesn’t start putting two and two together, and start playing with socks every time he wants a treat. Canines can be evil geniuses! Pop a muzzle on your dog, or leave them in their crate. These should be very much a last resort, but if you can’t trust your dog not to eat socks when left to his or her own devices, they may be necessary. If you’re going to use either of these methods, you must ensure that your dog understands they are not being punished. Don’t ignore them for long (sure, you need to go about your business, but you can’t follow these steps for several hours, that’s just cruel), and if you’re using a muzzle, pop something tasty into the tip such as peanut butter to soften the blow a little. Socks may be strangely appealing to dogs, but we need to be very careful that they don’t start associating them with snacks and treats. Chewing and playing is fine, but eating human footwear can have a hugely negative impact upon a canine’s health. Nip the behavior in the bud, and you won’t have to call your vet and explain that you’ve put your foot in it and allowed your pet to swallow a sock.